Long wait but not long enough, Samsung has started pushing JellyBean i.e. 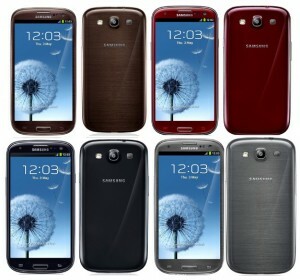 Android 4.1 os update to all its Samsung Galaxy S 3 customers starting from geographical regions of Europe. Samsung smartphone customers from Poland has already been receiving the JellyBean goodness on their Galaxy S III phones today. Sooner, the JellyBean update will be rolled out to other markets including US and the rest of the world including India. The exact timeline and date depends upon the country, carrier as well. If you’re of not the type who could wait. Well, you can flash your Samsung Galaxy S 3 wtih JellyBean Update firmware which has been released in Poland because the update is unbranded which means it is not tied to any carrier so it works for all countries including India. Several new features has been introduced in the new Android os 4.1 version.Samsung has added its own customization. Recommendations from Google Now which a new search feature that calculates smart guesses and suggest its predictions by tying your navigation history, preferences and search history all together. Ability to resize the pop-up play video window. A new Easy mode has been introduced in which you can add 5 large easy widgets to home screen. Blocking mode to block incoming calls, notification, alarms, etc for a specified period of time. A pause button in camera mode to pause and resume video recording. Sooner, other Samsung android devices will get Jellybean updates like GALAXY Tab 2 7.0 & 10.1, GALAXY Note 10.1, GALAXY SII, GALAXY Note, GALAXY Tab 7.0 Plus, GALAXY S Advance, GALAXY SII LTE, GALAXY Music, GALAXY Chat, GALAXY Ace 2, GALAXY Beam, GALAXY Ace Plus, GALAXY mini II and GALAXY S DUOS. 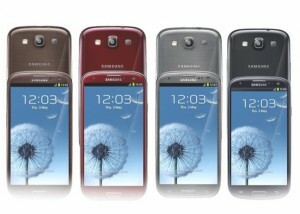 Samsung Galaxy S3 is now available in 7 colors including Pale Pink, Garnet Red, Sapphire Black, Marble White, Pebble Blue, Titanium Grey, Amber Brown. Not every color is available everywhere. For now, Pink color is available in just Korea but sooner it’ll be available in other markets as well as was the case with other samsung galaxy s3 colored handset. If you can’t wait for Samsung to officially release JellyBean update to your country. You can flash your handset with Jellybean firmware released for Poland. But before you proceed, beware that flashing might brick your handset or make it unusable. It might even violate warranty. If you’re ready to take the risk, then only proceed. I mean if you know what you’re doing. Before flashing, remember that your device is fully charged. Download JellyBean Update for Samsung Galaxy SIII (I9300XXDLIB): Download from Mirror Here for direct download or from Hotfile if you’ve premium hotfile account. After downloading, just extract it. Launch the included ODIN software. If ODIN.exe is not included in the package, Download Odin 3- v3.04 Free . 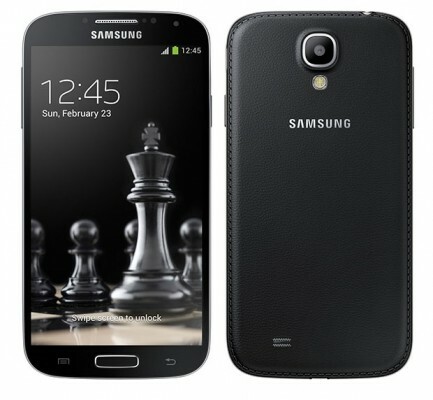 Switch off your Samsung Galaxy S3. Connect the device to computer via usb data cable. In the ODIN software, hit on PDA and select *.tar.md5 downloaded file. Your phone will start downloading of the firmware and the update process. After successful update, your phone will restart. Odin software will display the status as PASS. Once everything is done. Unplug the cable. Go to your phone settings and about menu. Check if your Samsung Galaxy S3 is successfully updated to Android 4.1 JellyBean OS. Tap “Install” button (Keep in mind changing CSC wipes your device). I hope the above guide helped you. If you face any problem, feel free to contact us via comments below. If you’re confused, I’d advise you rather not to try flashing the firmware yourself. Let the experts do it Or just wait for the official rollout via Samsung Kies. Keep checking Samsung kies for any update in your region. Other manufacturers like HTC and Motorola have also planned to roll out Jelly bean update soon for their flagship devices. This is the main problem in Android ecosystem – the entire ecosystem is very fragmented. The phone manufacturers are lazy and not supportive when it comes to keeping all phones updated to the latest version of Android OS. In contrast, even iPhone 3GS is getting iOS 6 updates. This is one strong point where Apple wins with iPhones as recent reports indicate that more than 1oo million of iDevices are on iOS 6 already (release of iOS 6 update have been made just a week ago) and iPhone 5 tops 5 million sales within a few days of launch.